This chapter discusses the detection performance of relay based cognitive radio networks. Relays are assigned in cognitive radio networks to transmit the primary user’s signal to cognitive coordinators or CPUs, thus achieving cooperative spectrum sensing. The purpose of the chapter is to provide mathematical analysis of energy detectors for dual hop networks. The soft fusion rule is used at the relays which acts as amplify and forward relays. For the detection purpose, the energy detector is employed at the cognitive coordinator. In the ending sections, sensing performance is analyzed for different fading channels in the MATLAB environment and simulation results present comparative performance of various relay conditions with concluding remarks. The word ‘Cognitive’ is derived from the Latin word ‘co + gnoscere’, meaning ‘to come to know’ or to become acquainted with something. Cognition is the process of knowing, learning, and understanding things. Therefore, cognitive radio could be defined as a technique of getting acquainted with the surrounding radio environment and manipulating it according to the needs of the user. The network in which the nodes have ability of sensing free holes in frequency spectrum of licensed user or primary user (PU) and take the empty frequency holes without creating any interference with PU, for the communication of the secondary user (SU) or unlicensed users, is known as Cognitive radio network (Nosratinia et al., 2004). 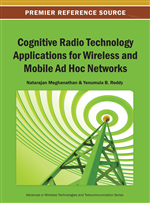 The term Cognitive radio is outlined in various ways by different researchers as given below. The term Cognitive Radio was firstly coined by Mitola et al., (1999). From his description we can define the Cognitive radio as ’a radio capable of analyzing the environment (as channels and users), learning and predicting the most suitable and efficient way of using the available spectrum and adapting all of its operation parameters‘. Joseph Mitola is also known as the father of the Cognitive radios. Haykin (2005) defines a Cognitive radio as ‘An intelligent wireless communication system that is aware of its environment, and uses the understanding by building methodology to learn from the environment and adapt to statistical variations in the input stimuli’. The Federal Communications Commission (FCC), where regulations focus on the operation of transmitters, defines Cognitive radio as ‘A radio that can change its transmission parameters based on the interaction with the environment in which it operates’. So, basically Cognitive radios are the unlicensed users that opportunistically utilize the licensed band, with the condition to vacate the licensed user’s spectrum as soon as the licensed user is back in operation. Hence it is very important in the cognitive scenario for the CR or SU to detect the presence of the licensed user or PU all the time. The radios continuously sense the immediate Radio Frequency (RF) environment and operate in a band that is available and appropriate, dynamically adjusting their frequency, modulation, power, coding, and other parameters to efficiently utilize the vacant spectrum while at the same time avoiding interference to existing systems. They are new models of communication system that are clever enough to work through any kinds of interferences. Spectrum sensing is the technique of detecting the unused spectrum of the licensed user and sharing it with the other neighboring unlicensed users without introducing any harmful interference. It is the primary requirement for any CR to sense spectrum holes also known as ‘white spaces’ or ‘black holes’ (Khalid, 2010). Spectrum holes are unused frequency bands allocated to primary users at any point of time. Spectrum sensing is a very critical functionality of the CR networks as it allows cognitive users to detect spectral holes and to opportunistically use under-utilized frequency bands. During spectrum sensing, it is very necessary to protect the rights of PU to avoid any kind of interference between PU and SU within licensed spectrum. The aim of spectrum sensing is to find opportunities for agile use of spectrum. In general, there are two sensing modes depending on the way to initiate the sensing i.e. reactive sensing and proactive sensing. The reactive sensing is initiated only when the user has data to send. Thus it is also called on-demand sensing. If no usable channel was found, the user will wait for a predefined time and then restart sensing again until the user send all data that he was trying to send . Advantage: Decrease the sensing overhead. Disadvantage: The data is delayed until the sensing is performed with a good accuracy. On the other hand, the proactive sensing is done periodically even when the user is not intending to send any data. The time between the sensing iteration is called the sensing period. Sensing periods may differ between the channels since each channel has its own unique behavior. The sensing periods should be optimized separately for each channel to compensate for the unique traffic pattern on that channel.